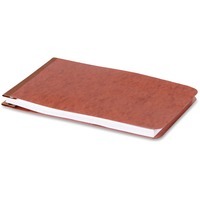 Sturdy pressboard report cover will keep your papers neatly bound together for better organization. Covers are eco friendly with 50% recycled material. Tyvek fasteners secure pages, regardless of thickness. Multiple sizes and colors available.